An acclaimed film that is close to our hearts - a story of a journalist's guts, courage, initiative, and belief that he has the 'voice' to change the world. The 'world' is the complex one of apartheid in South Africa, which the committed journalist feels he can change, thanks to working in Sophia town, where blacks and whites live in harmony - and in a magazine 'Drum' which employs both black and white South Africans. It is when he changes from sports-writing to stories of criminality, racism and slavery, that black journalist Henry Nxumalo (American actor Taye Diggs) becomes the target of racists, and events set him on a dangerous collision course. The film's arresting international cast, wonderful African music rhythms, stark and moving simplicity created waves at many festivals, including Toronto and Sundance. 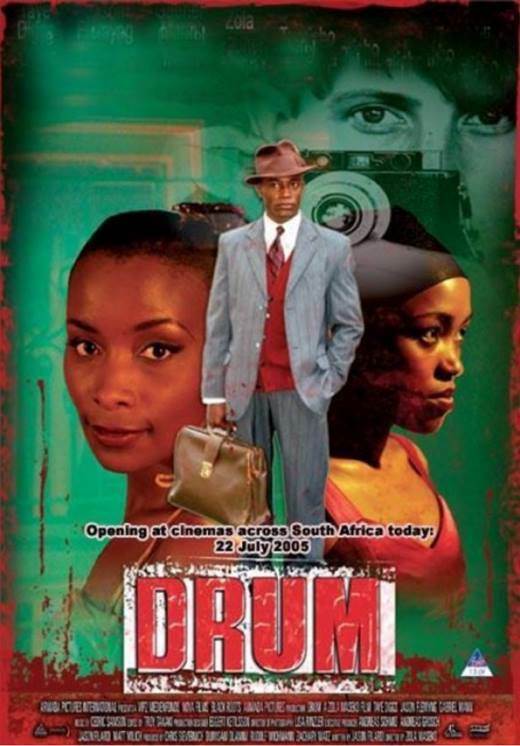 It won the Best South African Film Award at the Durban International Film Festival. Hollywood Reporter: "An intelligent, moving film steeped in an authentic sense of time and place." Variety: "An intelligent and affecting 'take' on political radicalization, in the 1950's Johannesburg." Film Threat: " A solid work of classical storytelling." To celebrate the opening of our 2016 Film Series with an important film from her country, South African Ambassador HE Ms Ruby Marks will be present. The South Africa Embassy will serve choice wine and snacks. Don't miss an unforgettable movie.